Steve Jobs, the visionary face of Apple, has died. He died of a rare but deadly form of pancreatic cancer, being just 56 years old. I simply want to salute this colossus that bestrode the tech sector for his tireless devotion to excellence. Here I am reminded of the things that have emerged from Apple under his leadership which have radically impacted or transformed the face of technology in recent times like iPods, iPhones, iPads, and a re-invigorated mac OS. One only hopes that his passing does not spell an end to the slew of buzz-worthy technological innovations from Apple. May his soul rest in peace. 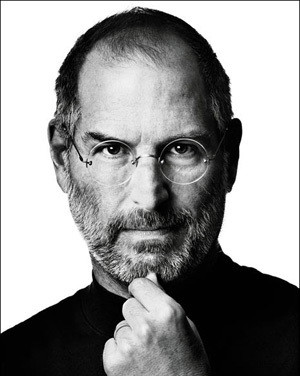 what more can be said of this icon than.....................thank you steve jobs! I sincerely hope apple can move on to greater height without their talisman in the saddle. just wondering if jobs was still at the helm of affairs, would we have gotten iphone 5 or iphone 4s.